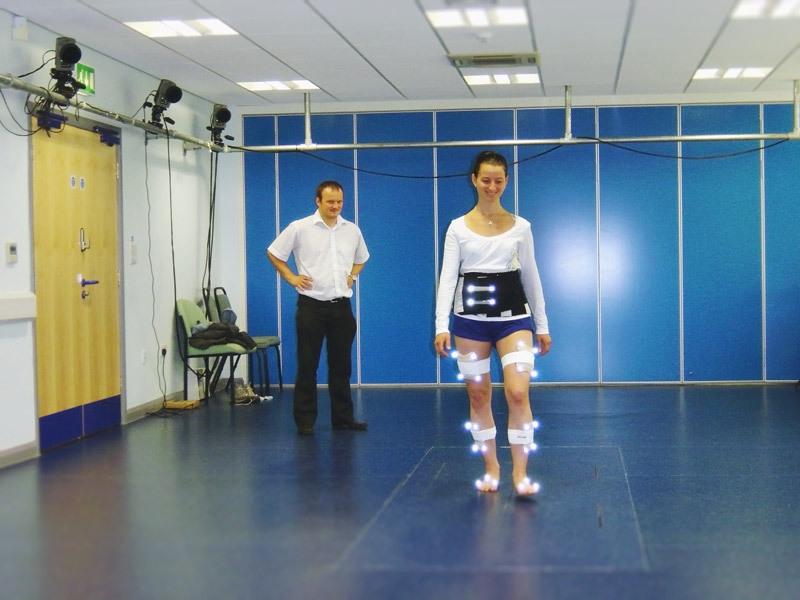 University of Salford has invested in three, state-of-the-art gait/human performance laboratories, all managed by Dr. Richard Jones. Qualisys equips two of them, namely the Clinical Gait Analysis & Research Facility and the Gait & Human Performance lab. The research performed at the Clinical Gait Analysis & Research Facility is relevant to the clinical practice of the allied health professions and rehabilitation of gait related conditions. Richard Jones’ work at the facility includes designing and evaluating clinical measurement tools; performing exploratory studies to understand patients’ problems such as rehabilitation-related health behaviour, the mechanisms of injury and the relationships between impairment, activity limitation and participation; and clinical evaluation of rehabilitation interventions such as patient education and self management programmes, assistive devices, footwear, prostheses and movement retraining and exercise. Fundamental and Clinical Biomechanics involves experimental and computational approaches to better understand how the neuromuscular skeletal system functions and how it is affected by disease, ageing and injury to joints and tissues. Applied research includes clinical biomechanical studies of gait and movement disorders, research into sports, exercise and performance training, and studies of physical therapy or assistive device approaches to improving function and subsequently the quality of life of individuals. Given the drive in the NHS for increased quality assurance for all clinical practices and quantitative diagnostic tests, the use of the OQUS system will allow quantitative assessment of movement giving a better understanding of the clinical problems being addressed by clinicians. Richard Jones, Professor and Clinical Gait & Research Laboratory Manager. On the rehabilitation side, Salford conducts research and development related to improved assistive technologies; particularly functional electrical stimulation (FES), prostheses, orthoses, and rehabilitation robotics. In addition, Jones explores sensor technologies for improved assessment and characterisation of movement disorders, including the development and testing of novel measurement technologies as well as novel approaches to the interpretation of sensor data. The newest of the three laboratories is the Clinical Gait Analysis & Research Laboratory that opened in September 2007. The 21m x 7m laboratory hosts the Salford Gait Analysis Service – a well-established clinical gait laboratory that has been providing quantitative gait analysis and consultation for the past seven years. The service is offered to patients referred from the NHS and private health care organizations around the UK. The Gait and Human Performance Lab is the principal gait and human performance laboratory. The purpose-built laboratory offers a large space (30m x 12m) within which a wide range of activities can be supported. The lab can also be divided into three separate sections to support parallel activities. The lab offers human performance assessments to many elite athletes and teams and is one of the best in the UK containing almost every type of physiological and biomechanical equipment imaginable.